OrCam MyEye for people with visual impairment was demonstrated to HRH Prince William, Duke of Cambridge, during the first official visit by a member of the Royal Family to Israel. The wearable assistive technology device which is fitted to individual glasses is claimed to be the most advance vision technology available. It enables people who are blind, visually impaired, with reading difficulties, including dyslexia or reading fatigue to perform daily activities and live more independently. Wireless, lightweight and tiny, OrCam MyEye 2.0 discreetly reads printed and digital text aloud, from any surface, in real time. Instant face recognition and identification of consumer products, colours and money notes provides increased independence. Magnetically mounted on the wearer’s eyeglasses frame and weighing less than one ounce, OrCam MyEye 2.0 is the only wearable artificial vision tech that is activated by an intuitive pointing gesture or simply by following the wearer’s gaze, allowing for hands-free use without the need of a smartphone or Wi-Fi. This end-to-end solution employs Computer Vision not only in the principal feature flow, but also in the user interface. 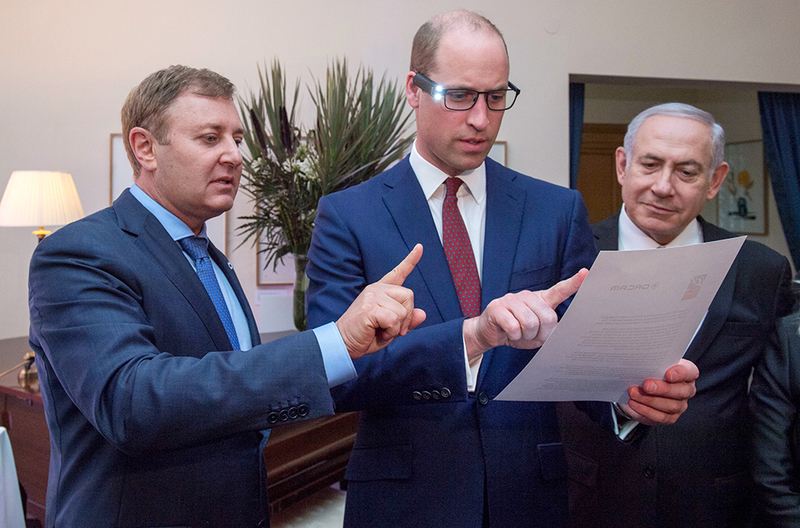 OrCam was one of only four companies chosen from approximately 5,000 high-tech start-ups in Israel to present to Prince William. Prince William, with the wearable AT device attached to glasses, used a pointing gesture to activate real-time text reading. He is pictured with OrCam Technologies co-founder and CEO, Ziv Aviram and Israeli Prime Minister Benjamin Netanyahu. The devices won the Best New Product Award at this year’s ATSA Independent Living Expo. 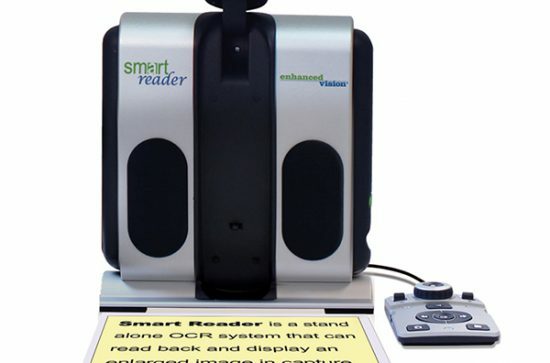 Quantum Reading Learning Vision will introduce the device at a Low Vision Open Day on July 24 at the Waves Sports Club, Norville, Queensland, where attendees will have the opportunity to try the new products. The presentation will be open to people with vision loss, their families, vision specialists, disability employment agencies, aged care residents and staff, occupational therapists, educators, teachers and rehabilitation specialists.